Isn't the "Cathedral Window" block a beautiful block? Have you been intimated by it? 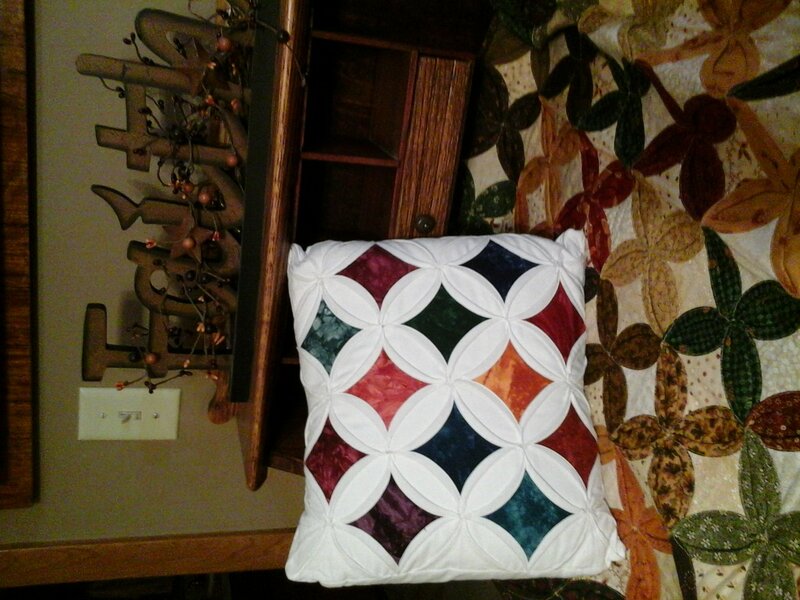 Erica Plank shows us an easy way to make it while creating a pillow. Come join our 5 hour class learning to use the "Cathedral Window" template by Erica Plank. Bring sewing machine. Bring your own iron. Pick up Supply list when signing up for class. Must bring your own 14" pillow form.